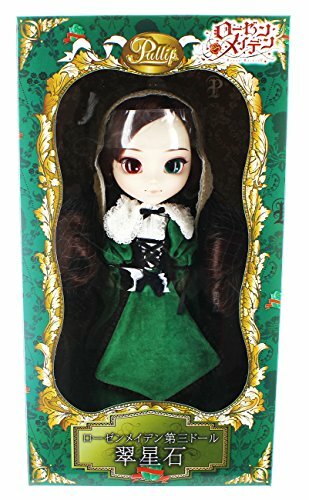 Wide-eyed and wonderful, Pullip welcomes the magical cast of Rozen Maiden as a new series of fashion dolls! Measuring approximately 12 inches tall, this beautiful doll depicts Suiseiseki! Fashion doll features an intricate real cloth outfit that looks just like the one worn in the hit anime. Attractive window box packaging. Officially licensed, collect them all! Wide-eyed and wonderful, Pullip welcomes the magical cast of Rozen Maiden as a new series of fashion dolls! Fashion doll stands approximately 12 inches tall. This beautiful doll depicts Suiseiseki! Fashion doll features an intricate real cloth outfit that looks just like the one worn in the hit anime. Attractive window box packaging. Officially licensed, collect them all! If you have any questions about this product by Pullip Dolls, contact us by completing and submitting the form below. If you are looking for a specif part number, please include it with your message.